What can I put on perennial ornamental peanut to get rid of variety of weeds, bahia and bermuda grasses? I read Bonnie L. Grants on ornamental perennial peanut. I have a large experimental section of perennial ornamental peanut in my 1 acre back yard in Ft Myers Fl (zone 9, 9a). Two years ago I cleared the area of weeds, planted ornamental perennial peanut, mulched and hand weeded. Today, 2 years later I cannot keep up with hand weeding and Bahia grass, Bermuda grass, sedge, dog fennel, and many other weeds have invaded. I keep a perimeter weed freed and mulched hoping the perennial peanut will spread. This area has a sprinkler system and gets water in the dry season. We do mow the perennial peanut. It looks healthy I just want to control or eliminate the weeds and invading grass. 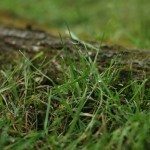 What can I use on the peanut to get rid of weeds and the unwanted grasses?